B) The transfer of research equipment and materials between Laurier and other institutions. 2.00 Equipment and Materials: Included but not limited to: books, monographs, library materials, data sets, laboratory equipment, research supplies and software. 3.00 This policy applies to all equipment and materials purchased by a Laurier faculty member through a research grant, award or contract. 4.01 Equipment and materials purchased through a university grant or contract remain the property of the university unless specified in an agreement at the time of the award. 4.02 Equipment and materials purchased through external grants or contracts are subject to the conditions set forth by the agency providing the funds. 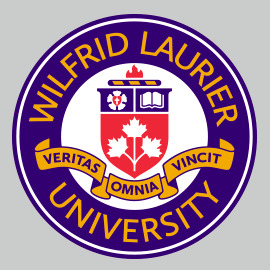 In cases where ownership has not been noted in the conditions, default ownership will be that of Wilfrid Laurier University. 4.03 All equipment and materials must adhere to Laurier’s procurement policies (see links below). 4.04 Prior to the purchase or transfer of any equipment and materials all costs associated with the housing and maintenance of such equipment or materials must be identified, reviewed and approved (in writing) by the department Chair (where applicable) and Faculty Dean to verify that the university is prepared to cover these costs. 4.05 All transfers of equipment and materials from Laurier or to Laurier must be compliant with any funding or legal requirements under which the equipment was acquired. Approval of the Vice-President, Research is required prior to finalizing any transfer of equipment and materials from Laurier or to Laurier from another university. Transfers will not be approved if the transfer may negatively impact research at Laurier (e.g. the removal of equipment would prevent other researchers at Laurier from performing their research; excessive maintenance or housing costs would be incurred with the arrival of new equipment).